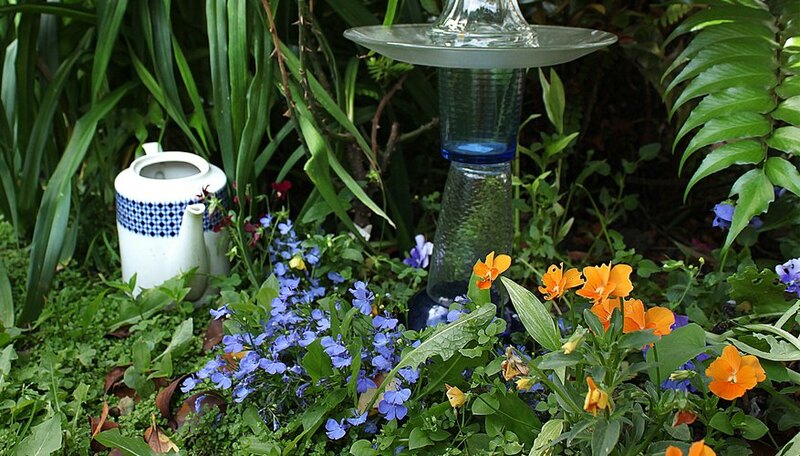 Glass garden totems add structure to flower beds and create a sense of style. Dorothy Baltz of D&G Gardens and Crafts highlighted her totem creations in the April 2009 issue of "Gardening & Deck Design" magazine, and this garden accent's popularity is increasing. Depending on the design, these glass totems create peaceful moods or celebrate your whimsical nature. Keep scale and functionality in mind when designing your glass totem -- a large stack overwhelms small beds, while a tiny cup and saucer disappears in a mass of perennials -- and your glass totem will generate appreciative comments for many seasons. 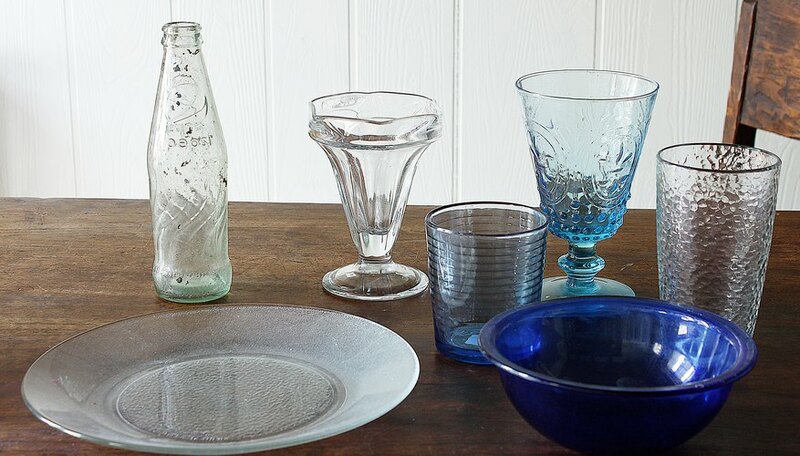 Collect glass pieces from yard sales, thrift stores or your own attic. Look for lampshades, vases, plates and candlesticks with flat surfaces to ensure the totem stacks securely. Clean the glass of any residue or dirt. 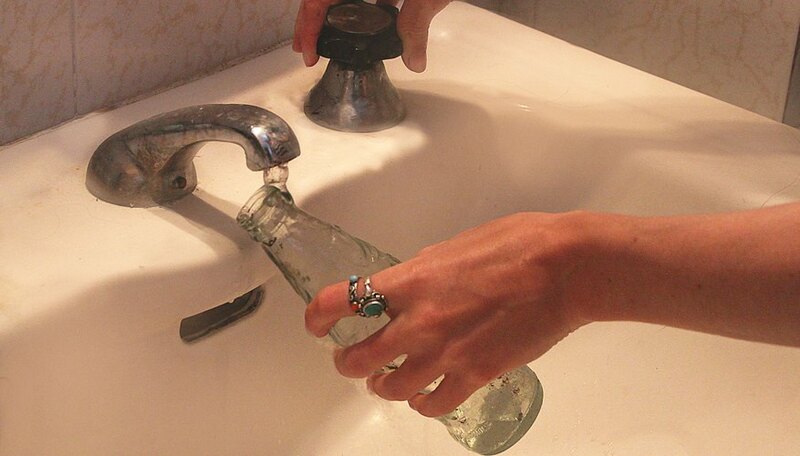 For hard water deposits inside narrow vases, drop a denture cleaning tablet in the vase and fill with water. Wait until the tablet dissolves and all fizzing action stops before draining. Dry the glass thoroughly. Arrange your glass pieces into your potential totem, with pieces upside-down and right-side up. Add a plate between vases or bowls to enhance the totem's stability. 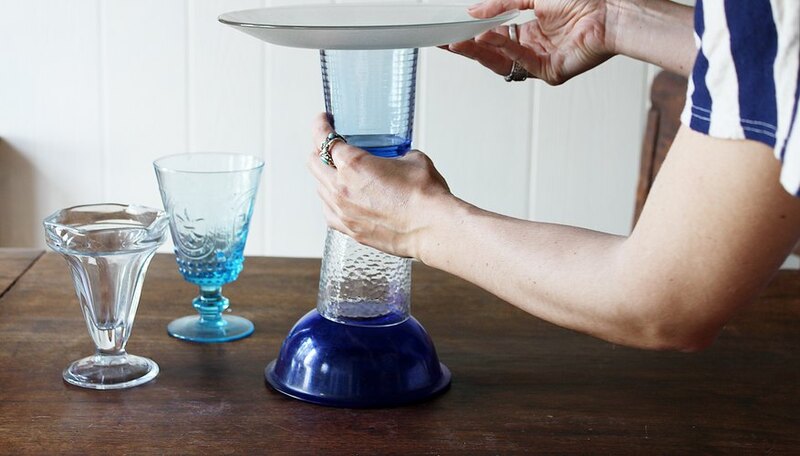 Keep plates upside-down to avoid collecting dirt and water. 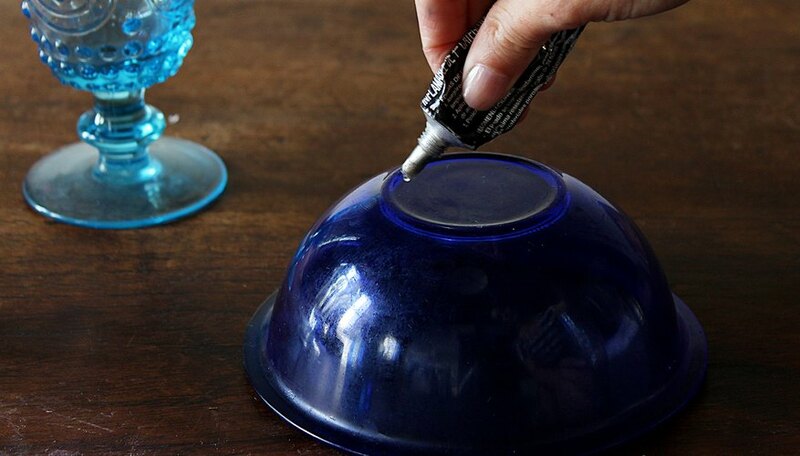 Use an upside-down bud vase, toothpick holder or other narrow piece as the base if you plan to set the totem on a PVC pipe, or select a large heavy dish, such as a glass microwave tray, as the base. Glue the pieces in sections using the silicone adhesive. Allow each section to cure before assembling the totem. Many silicone adhesives partially cure within 3 hours and fully cure within 24 hours. 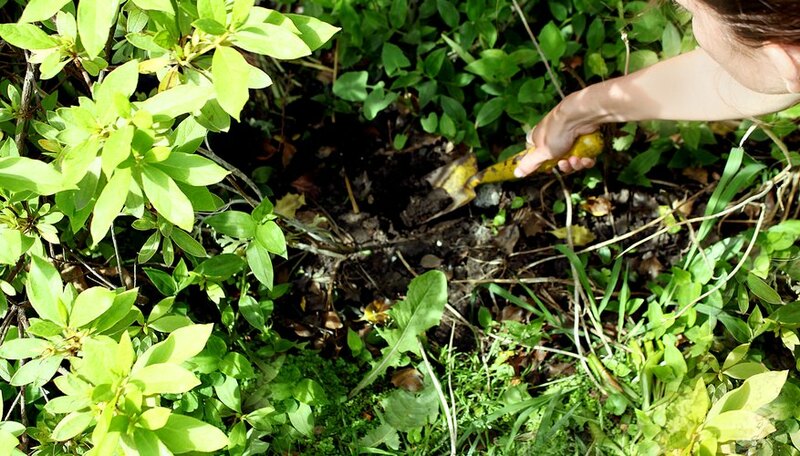 Choose a spot for the totem in your garden and push a length of PVC pipe into the ground. Use at least 2 to 3 feet for taller totems, keeping the bulk of the PVC pipe in the ground. Set the totem's base over the PVC pipe. If the pipe does not fit securely, wrap the pipe with plastic film until you achieve a tight fit. Alternatively, if you use a wide tray as the base, set the totem on level ground and cover the base with rock or other weights. When shopping for base pieces such as bud vases or toothpick holders, bring a section of PVC pipe with you to check the fit. To avoid glimpses of white pipe from showing, paint the pipe or consider using copper piping. If you live in a cold climate, bring your glass garden totem inside during winter months. Glass may crack during freeze-thaw cycles, and sheltering your totem extends the silicone's life. Choose textured or frosted glass if humidity is a concern. Humid air contributes to condensation inside the pieces, but textured glass hides this problem. Glass totems don't work well in every landscape. Use different materials, such as polished rock, to create your own garden art. Don't place the glass totem where it's in the path of adventurous children or active dogs. Avoid painted glass. Sun and rain will cause the paint to peel, leaving the totem mottled and messy. Kimberly Richardson has been writing since 1995. She has written successful grants for local schools as well as articles for various websites, specializing in garden-related topics. Richardson holds a Bachelor of Arts in English and is enrolled in her local Master Gardener program.